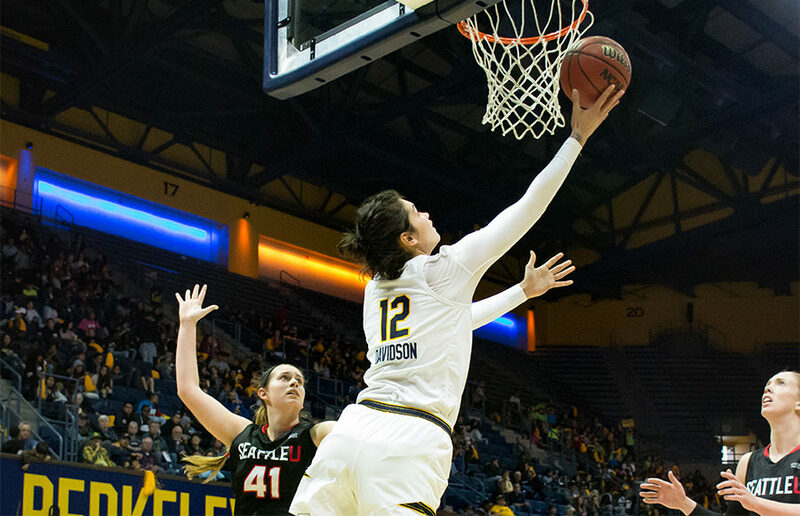 In its first action since a second-round exit in the NCAA tournament in March, Cal women’s basketball (12-4, 3-2) began its 2017-18 season with a bang — and not the good kind. In the final minutes of a well-earned 87-80 victory over Northern California rival St. Mary’s, starting sophomore guard Mi’Cole Cayton was out in transition after a busted possession by the Gaels’ offense. It would be Cayton’s final memory on the court of her abbreviated season, as a tough fall resulted in a torn right ACL and an unexpected long-term shift in head coach Lindsay Gottlieb’s rotation. Despite the opening-night setback, the emergence and poise of the new starting guard, freshman Kianna Smith, has made the transition as seamless as the team could have hoped for. With big expectations and lofty goals heading into the season, the Bears have carried on, hovering at the edge of the top 25 rankings all season. Aside from a couple of minor tweaks, the Bears’ rotation is essentially the same as last season’s team, which finished seventh in a competitive Pac-12 conference. This season has shown early promise in a number of departments, from controlling the battle for rebounds to pushing the ball out on the break. But struggles against ranked teams, resulting in an 0-4 record against such squads, have kept Cal anchored at bay. As conference play heads into full swing — a stretch when teams tend to rise to the occasion or sink to the bottom — here’s a glance at how things have stacked up so far for the blue and gold. One of the issues that has hindered Cal’s ability to overcome top-ranked teams early in the year is ball handling when pressured early in the shot clock. That’s not to say that the loss of Cayton has forced this team into survival mode, nor does it place all the blame on the team’s guards. Dealing with pressure has been a teamwide effort, one that starting guards Smith and junior Asha Thomas have been improving upon greatly as the season progresses. Even when execution isn’t impeccable, the guards know that ball handling miscues aren’t just on them. The junior from Oakland has evolved into one of the most dynamic players in the conference. Her quick release and savvy playmaking skills have resulted in career highs across the board, and she’s currently the No. 1 free throw shooter in the Pac-12. But perhaps the most notable development in her game is three-point production. A year after nailing 63 threes in her sophomore campaign — one shy of Jennifer Self’s school record — Thomas is hoisting 6.3 shots from long distance per game, cashing in a career-high nine threes against Manhattan. 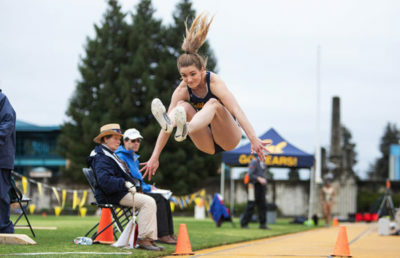 At her current rate, she’ll be on track to stand alone atop Cal’s single-season record in that department. 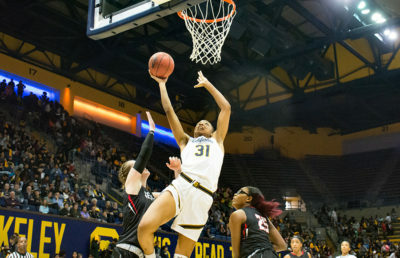 Thomas’ leadership poise was exhibited most clearly in Cal’s 53-51 win over Arizona, with her first absence of the season due to concussion-like symptoms. 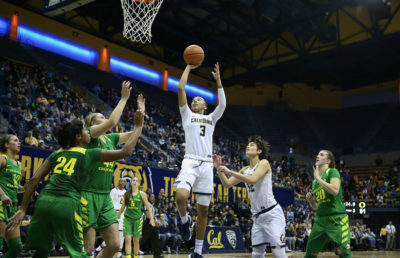 It took a heroic effort from senior Mikayla Cowling for the Bears to survive the Pac-12’s last-place Wildcats in a game that likely wouldn’t have been nearly as close had Cal’s starting point guard and primary long-distance threat suited up. For her part, Cowling has continued her evolution into the Bears’ primary defender on the opposing team’s best player. The senior from Benicia continues to pick pockets, picking up 1.6 steals per game, good for T-11th-most in the Pac-12. Having started at least 26 games in each of her first three seasons, Cowling’s playing time speaks volumes to her value. She has seen the court for at least 30 minutes in 11 of the team’s first 15 games, hoisting typically no more than nine shots per game but stepping up when the Bears are desperate for offense. Cowling’s first breakout offensive game came in a home matchup against BYU, a game that star junior forward Kristine Anigwe was ruled out for just prior to tipoff. After 35 minutes of court time, Cowling had established a season high in points with 21 and in rebounds with eight. Three weeks later, it was Thomas watching from the sidelines as Cowling recorded 19 points in 37 minutes, every one of which Cal needed to escape Tucson victorious. Although Thomas and Cowling were penciled in for consistency and big minutes at the beginning of the year, the same could not be said for Smith, at least not right off the bat. The biggest beneficiary of Cayton’s injury, the freshman’s minutes have steadily risen throughout the year, and she has taken advantage of every opportunity. Leading the team with 80 assists, including 12 during Thomas’ three-point barrage against Manhattan, Smith is a near lock to become one of Cal’s top dual threats in both the near and distant future. 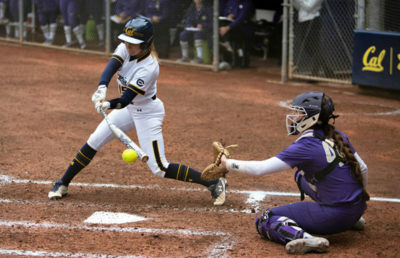 Having won Pac-12 Freshman of the Week not once but twice before conference play, Smith’s praise echoed all across the board, extending from her teammates to the coaching staff. Rounding out the guard line rotation are sophomore Jaelyn Brown and junior Mo Mosley. Brown is a primary spot-up jump shooter from all areas of the court, while Mosley collected three critical steals against Arizona in a season-high 24 minutes off the bench. A Pac-12 All-Freshman Honorable Mention last season, Brown’s ability to draw contact and get to the line have separated her from the rest of the reserve group as Gottlieb’s No. 1 guard option off the bench. But unlike Thomas’ conference-leading 84.8 percent from the charity stripe, Brown’s 68 percent falls more in line with the rest of the team — a 66.9 percent clip. Highlighted by an arsenal of three-point threats, savvy returners and a young budding star, the backcourt is poised to continue producing on the offensive end. 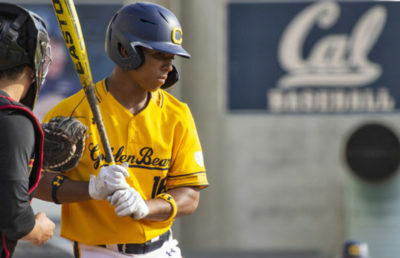 With the exception of a handful of offensive duds — albeit against ranked teams that have done no favors in helping Cal’s tournament resume — the Bears should feel confident in the way the guards have overcome Cayton’s season long absence. Every opponent’s scouting report on this team likely has the name “Kristine Anigwe,” front and center, bolded or italicized, whatever way each team’s coaches like to capture the attention of their players — and for good reason. 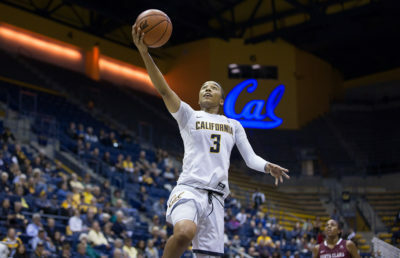 Now midway through her third season with Cal, Anigwe’s dominance is well-documented, and some would say that she’s even taken a slight step back despite another strong start to her season. That statement sums up the level she performed at in her first two years. A unanimous preseason All-Pac-12 selection, Anigwe’s name is entrenched in the conference’s top 10 — tied for ninth in blocks with 1.3 per game, sixth in scoring at 16.6 points per game, fourth in field goal percentage at a 57.1 clip and tied for the top spot in rebounds with UCLA senior Monique Billings at 8.8 boards per contest. Stopping her in the paint isn’t much of an option for opposing defenses, but slowing her down is more plausible. In Cal’s 55-52 loss to then-No. 23 Missouri, the Tigers clogged the paint while the Bears struggled from three-point range. A combination of foul trouble and offensive stagnation resulted in a season-low two rebounds and just one foul shot for the All-American candidate in a game that now stands as the closest Cal has been to taking down a ranked team. Still, a 28-point, 25-rebound feat in a win against Brown — the first 25-25 game in three years at the Division-1 level — says it all about the junior’s potential to explode on any given night. Just ask Sacramento State, the team that surrendered 50 points to Anigwe early in her sophomore campaign. While Anigwe gets the majority of the attention down in the post, perhaps the Bears’ most consistent player throughout the entire season has been senior Penina Davidson. The New Zealander has made the most of her final rodeo with the Bears, tied for 12th in the conference in rebounding at 7.2 per game and sixth in field goal percentage at 52.9 percent. She has recorded at least five boards in all but one game this season; her most impressive double-double of the year came in a road win over Pacific, where she racked up 22 points and 10 rebounds in just 26 minutes. When the shots aren’t falling from the outside and Anigwe is drawing the attention of double teams, Davidson is ready to pick up her teammates — just as she has done all season long. Certain players have the ability to greatly affect the way an offense operates, and Davidson is a player whose success coincides greatly with Cal’s wins. The Bears are 6-0 when the senior scores in double figures, a stat that can be attributed to her experience as a well-versed veteran of playing at this level. As opponents focus their attention on the three-point touch of Thomas and the ability of Anigwe to score down low, Cal is fortunate enough to have a second forward who can get it done at both ends of the floor. With two of the most experienced post players in the Pac-12 on the team, the younger frontcourt players have no shortage of veterans to teach them the ins and outs of conference play. Freshman Alaysia Styles, a 6’3” recruit from San Diego, earned quality court time and played for at least 15 minutes in seven of the team’s first 10 contests, but she hasn’t seen more than that mark in the past five games. Given the nickname “Bird” at an early age, Styles has been flying high from the foul line early on, shooting at a robust 73.5 percent, but she has begun to show signs of youth in the past eight contests, converting only five of her 14 shot attempts. Conference play will certainly present its challenges for first-year players, which may be part of the reason why some of Styles’ minutes of late have shifted toward sophomore CJ West, Anigwe’s backup for typically 10 to 15 minutes per game. With the Pac-12 fielding several teams in the top 25, this year’s field of West Coast talent is particularly strong. As Styles continues to adjust and potentially develop into the starter when Davidson departs next season, West has seen her numbers and productivity fluctuate but does have a couple of nonconference dominant performances to her record. In the Bears’ resounding home win against Seattle, West broke out with a career-high 18 points in just 15 minutes; her high in rebounds of 10 took place in 20 well-played minutes on the road at Kentucky. While Cal’s backcourt has produced more consistency on paper, it’s no secret that the frontcourt is capable of producing in big outbursts. The team will have big shoes to fill in the coming years with Anigwe’s impending departure, but it will undoubtedly continue to lean on its veteran forwards for instant offense and unquestioned leadership. Gottlieb designed the team’s nonconference schedule to challenge this year’s team, one that has the proven talent and depth to sit atop the conference come March. Rather than dwell on their winless resume against top-25 teams, the Bears feel confident in the way they’ve picked each other up during this season’s toughest challenges thus far. Cal’s first loss was against No. 1 Connecticut on the road, a team that Gottlieb describes as “an animal in its own right.” That’s the type of loss that doesn’t discourage the team as much as others, such as the tight home loss to Missouri or falling behind right away to then-No. 25 Arizona State last week. For all their lapses against ranked teams, particularly the Sun Devils and then-No. 11 UCLA, which coerced the Bears into 24 turnovers in an ugly 82-46 showing on New Year’s Eve, Cal has not let up against unranked teams. After its most recent win against Washington, the Bears improved to 12-0 against teams outside the “red line” separating teams with a number in front of their name and those without. With a number of ranked teams coming up on the schedule, including No. 8 Oregon and No. 22 Oregon State in addition to rematches with the No. 14 Bruins and No. 18 Sun Devils, Cal will have several chances to establish itself as a top threat not just in conference, but also nationally. Win or lose, one thing that stands out already is the elevated level of chemistry that this year’s team has exhibited both on and off the court. “We have incredible chemistry this year, in terms of we think we’re having fun when we play, which is huge,” Davidson said. The head coach echoed her veteran’s sentiments, comparing the Bears to the program’s most recent Final Four squad. The veteran presence and an elite rotation of stars have been established. The team’s respect for each other and enjoyment level has been acknowledged and celebrated. Now it’s up to the Bears to deliver and overcome their early bumps in the road. Josh Yuen is an assistant sports editor. Contact him at [email protected].